This is an advanced activity using reflexive pronouns, indirect object pronouns, and direct object pronouns. Practice placement of the pronouns before or attaching to the end of verbs. 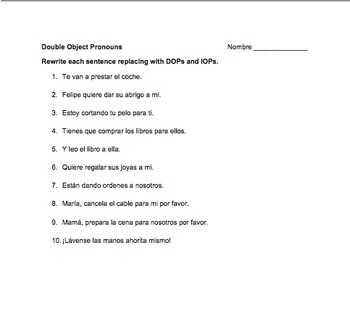 Want more double object pronouns activities? 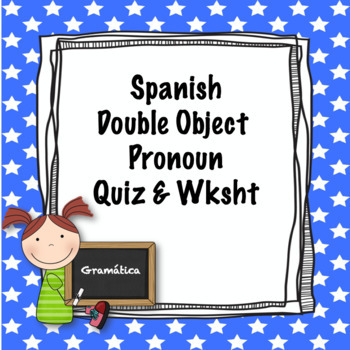 Save with the double object pronouns bundle.